Short, but I needed it to be. I had to make a last minute change because of sheer stoopid. 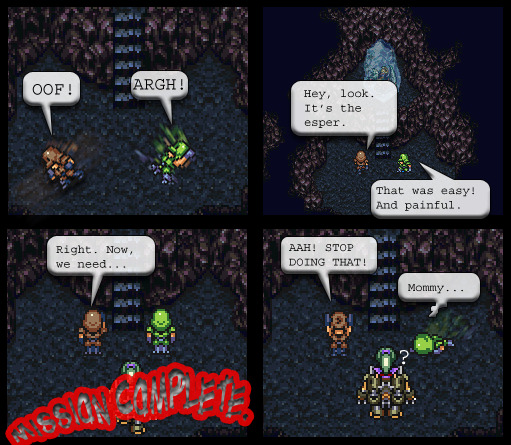 Alright, a little FFVI love! I'm favoriting this, so you keep on updating, ya hear? What a coincidence! Rule 2098344 of life: manatees are closely related to herrings. Rule 2098343 of life: pain hurts, Avoid it.